Patented design made in Germany. 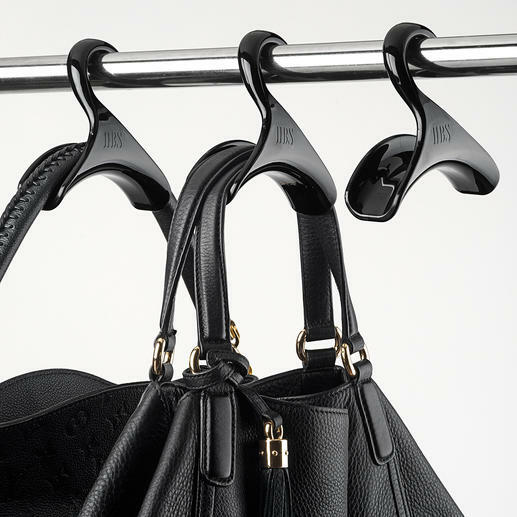 The stylish hand bag hanger “Black Swan”. 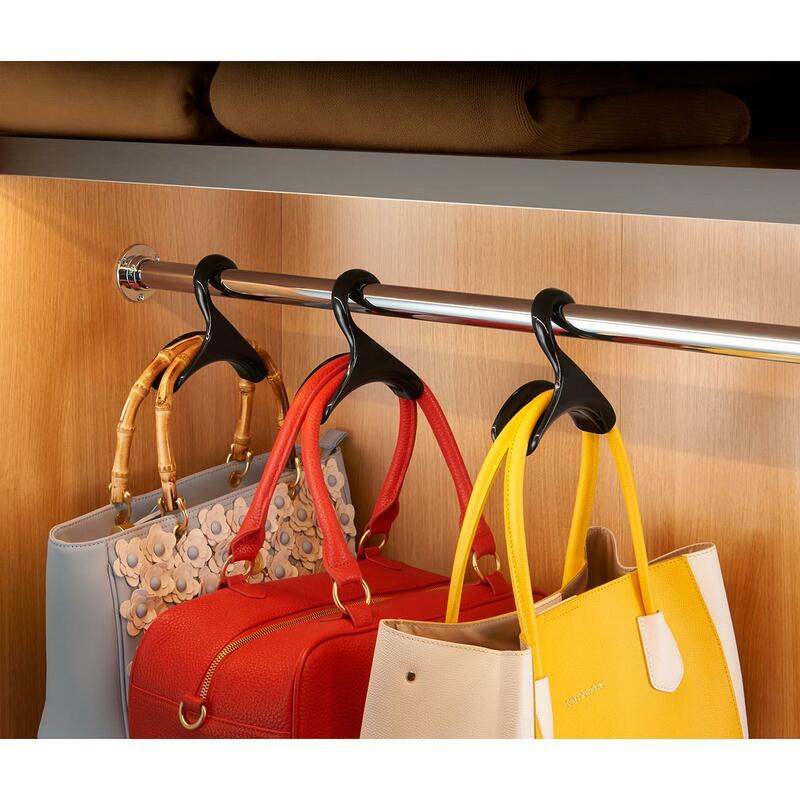 Whether in the wardrobe, the clothes rack, in the walk-in cupboards, ... This perfectly shaped, curved hanger puts your bags decoratively on display while saving space. The rounded, soft-touch surfaces are particularly gentle on the bag’s material and provide a secure, anti-slip hold for the handles. 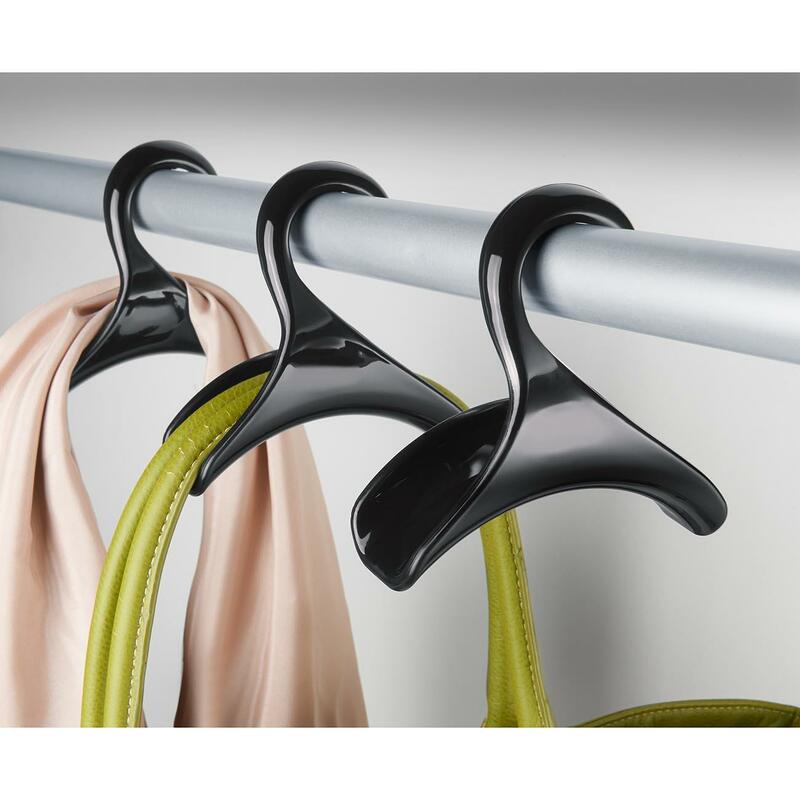 Made of gentle-to-the-touch soft plastic, elaborately injection moulded without awkward seams or angles. Size 12x11x4cm (4.7" x 4.3" x 1.6") (WxHxD). Weight 53g (1.9 oz). Design: Pia Berwanger and Gunter Seidel.